UK consumers may be unfamiliar with smart cities but are knowledgeable on specific initiatives. Despite the many smart city initiatives that are already in place, new research has revealed that less than a quarter (23%) of UK consumers are aware of the term 'smart cities'. To compile its “Smart in the City” research, the location-based marketing specialist Posterscope surveyed over 5,000 consumers on their opinions of smart cities and their key features. 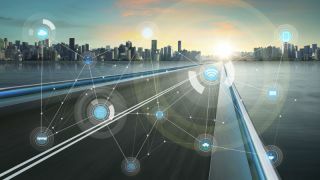 While a majority of UK consumers are unaware of smart cities, the report did reveal more understanding and interest when respondents were questioned about specific initiatives. When asked as to which smart city features were the most useful, smart water (89%), smart construction (85%), smart energy (81%) and smart health (79%) were rated the highest while smart tourism and leisure, smart retail and smart finance were rated the lowest. Posterscope's report also revealed consumer's need to be able to picture the benefits of smart cities. While smart transport was rated at 71 per cent usefulness, consumers responded more positively when specific initiatives were described in more detail. Smart traffic control was rated at 87 per cent usefulness followed by smart public parking (83%) and real-time personalised transport information (74%). Smart transport initiatives resonated with consumers because they can help solve real-life problems such as the hidden cost of driving which was estimated to cost UK drivers £1,924 each in 2017. Smart health was also highly-rated by consumers with 20 per cent of respondents saying that they currently own a wearable device. However, 55 per cent noted that they would consider buying one in the future which would help make smart health initiatives a reality. If smart city initiatives are to be successful, increasing consumer awareness must be a priority for businesses as well as governments.